In this exciting new three-part series for TG4, former Slaughtneil camogie captain, Aoife Ní Chaiside, explores the trials and triumphs of women in sport in Ireland. Shot while Aoife was on her way to winning her third All-Ireland consecutive club camogie championship, the series sees her venture beyond the Gaelic games, travelling throughout Ireland to meet intrepid sportswomen from a wide range of sports, each one pouring her heart and soul into her sport. This is a series about more than sport itself – it’s about how sport can uplift women and provide emotional, physical and psychological sustenance, and about how sport can bring women together in an increasingly isolated world. In episode one, Aoife treads familiar ground, looking at team sports, and endeavours to find out more about the values at the heart of teams – trust, respect and friendship. She speaks to her friend, Katie Mullan, captain of the Irish Hockey team that won silver at the Hockey World Cup in 2018, about the friends she has made through the game. Aoife meets Rena Buckley, ladies’ football and camogie All-Star who won a record 18 All-Ireland medals. Aoife sits down with the founders of the 20×20 initiative to hear how more about its objectives to raise the profile of women’s sport in Ireland. In the second episode, Aoife embarks on a mission to understand what motivates individual sportswomen, who train and compete without the safety net of the team that she is accustomed to. 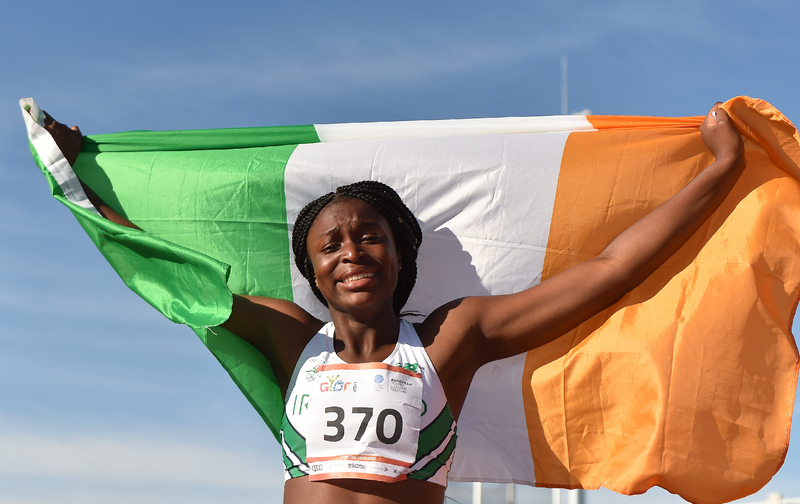 She meets sprinter, Patience Jumbo Gula, discus thrower, Niamh McCarthy, and world champion handballer, Aisling Reilly, and discusses the big issues – disability, image and racism in sport. 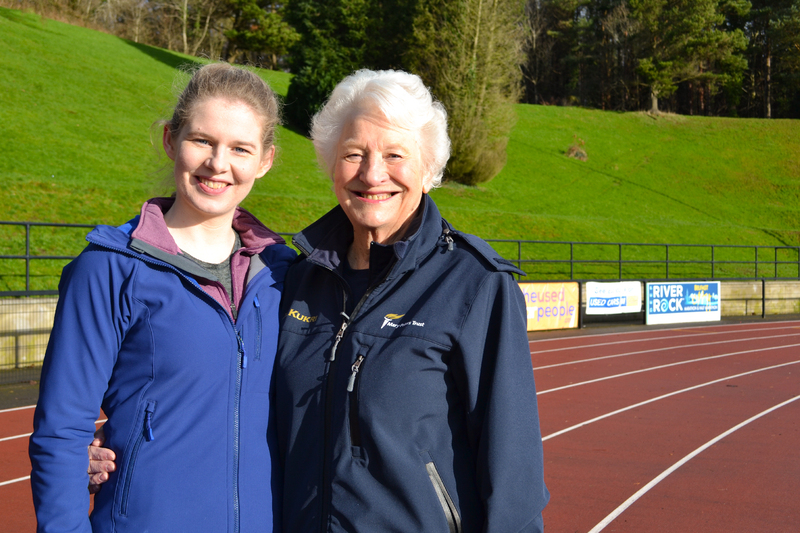 The final episode celebrates sport for life, and the benefits of sport and fitness for women. 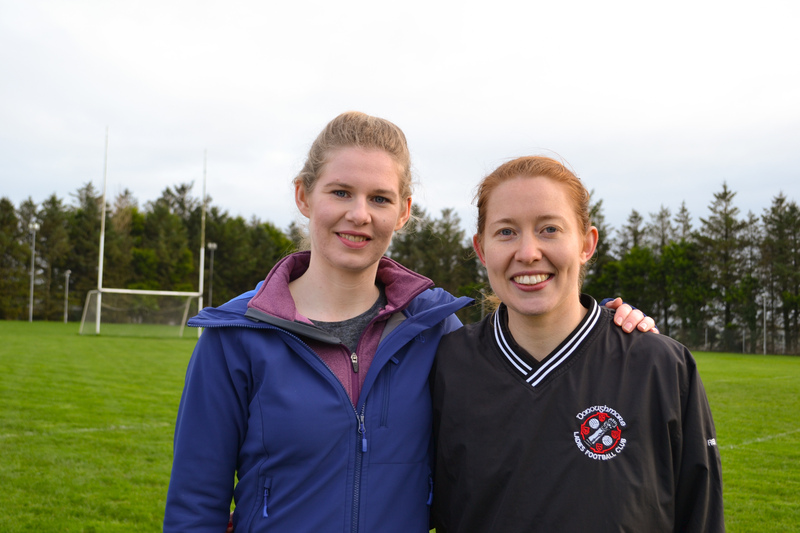 At a challenge match as part of Slaughtneil’s All-Ireland preparation, Aoife gets an opportunity to chat to Kilkenny manager, Ann Downey about why so few women have followed in her footsteps and become managers and officials in sport. She visits Irish rugby star Eimear Considine’s school, where Eimear’s goal is to encourage her young pupils’ love of PE, to help prevent them from dropping out of sport. 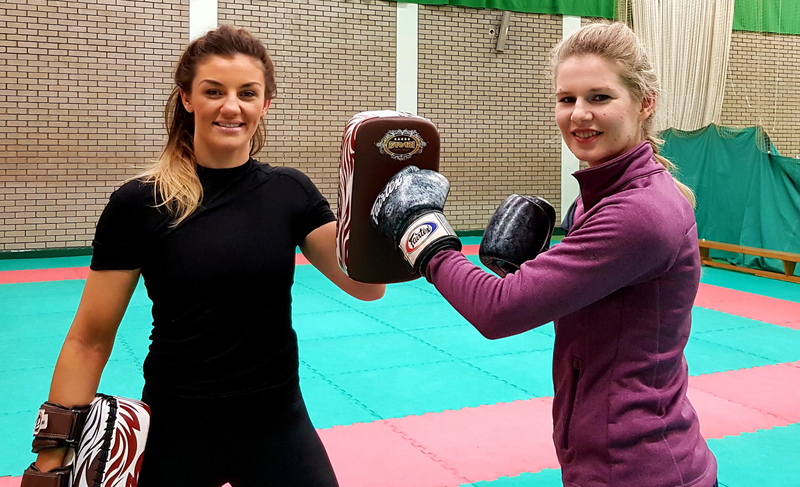 The fearless Aoife sets herself a new challenge, to try out MMA, with champion Leah McCourt.